RADAWETZ – Alex Radawetz beloved wife of Mary Radawetz of Preeceville formerly of the Hazel Dell district passed away at his home in Preeceville on Sunday, February 3, 2019. He was eighty-nine years of age. Alex was born on March 28, 1929 on the family farm south of Hazel Dell to John and Ann Radawetz. Alex grew up on the family farm and attended Lone Spruce school till grade 8. In 1953-54 worked in a logging camp by the Denare Beach area. In 1955 he married the love of his life of 63 years Mary Sawka. In 1958 their son Jerry was born, in 1960 daughter Theresa, in 1962 daughters Brenda and Diane in 1966 completed their family. He farmed his whole life and then moved to Preeceville to retire in 1996. Alex was on many committees and had many interests. 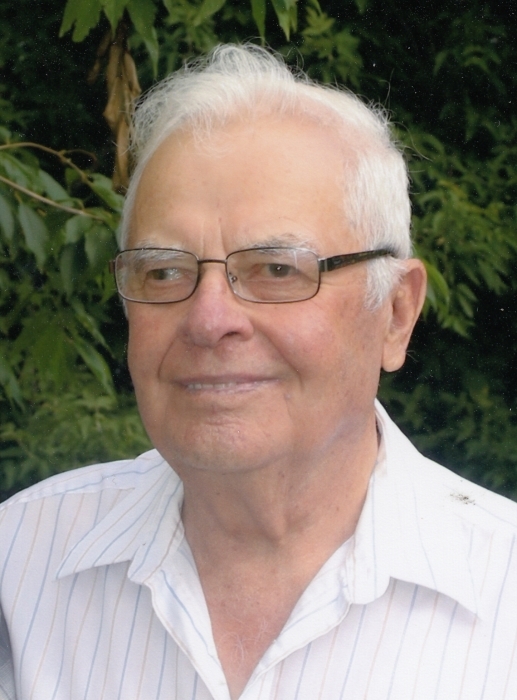 He was an eight year RM councillor for the RM of Hazel Dell, 2 years on the Mackenzie Society as a director, many years as President for the St. Peter and Paul Ukrainian Church in Hazel Dell. He and Mary loved their pattern dancing and travelled these functions with many friends. He also loved to fish, play cards, and play his harmonica from time to time. He took care of the yard and garden making sure everything had its place. He was an inventor in most trades. Alex is predeceased by his parents John and Ann; daughter Brenda, sisters Annie, Nellie, Polly and Nettie; and brothers Pete, Mike, Joe, Metro, Bill and Steve. He leaves his memory of 63 years his wife Mary, son Jerry (Brenda) of Warman, daughter Theresa (Sheldon) of Preeceville and daughter Diane (Mike) of Canora. He is mourned by eight grandchildren Carrie (Dean), Corey (Denity), Jessica (Roger), Jeremy, Jerilyn (Daniel), Jillian, Tanner (friend Jessica), Chloe, and seven great grandchildren Jason, Kaitlyn, Quirin, Hunter, Jaxon, Coby and Draven; brother Walter (Betty), two sisters Olga and Mary; many nieces, nephews, relatives and close friends. Prayers were held on Thursday, February 7, 2019 from the Chapel of Preeceville Funeral Home. Requiem Divine Liturgy was celebrated on Friday, February 8, 2019 from Holy Transfiguration Ukrainian Catholic Church in Preeceville with Very Rev. Fr. Joakim Rac as the Celebrant. Chloe Davis and Kaitlyn Pangracs served as crossbearers. Tributes and words of remembrance were given by granddaughters, Jessica Head and Carrie Pangracs. Interment followed in the Sts. Peter and Paul Ukrainian Catholic Parish Cemetery in Hazel Dell, Saskatchewan with grandchildren, Jeremy Radawetz, Jillian Radawetz, Jerilyn Radawetz, Tanner Davis, Corey Nelson and Jason Pangracs serving as the casketbearers. Condolences can be sent to the family at www.preecevillefuneralhome.com Memorials in memory of Alex may be made to the Preeceville Hospital Auxillary as gifts of remembrance.